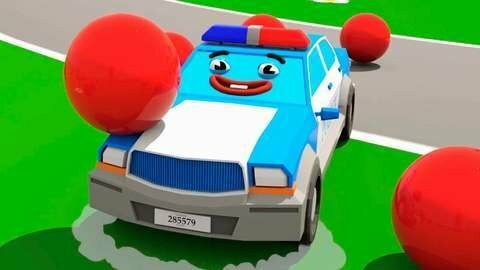 Help kids learn colors by letting them watch this 3D car cartoon about the blue police car and the other 3D cars using party poppers. See the pull the string to pop all the colorful items inside the party poppers while your kids recite what colors the items are. They will surely enjoy the fun surprise of the party poppers. Let your kids watch more fun videos that they can learn colors, shapes, and numbers with by visiting SeeZisKids.com.